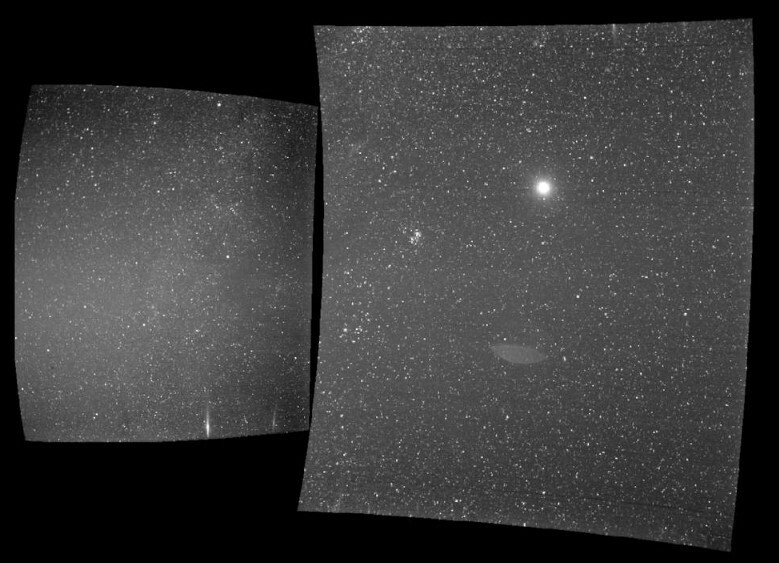 WISPR (Wide-field Imager for Solar Probe) instrument captured the image, it is the only imaging instrument on board Parker Solar Probe. “During science phases, WISPR sees structures within the Sun’s atmosphere, the corona, before they pass over the spacecraft. The two panels of WISPR’s image come from the instrument’s two telescopes, which point in slightly different directions and have different fields of view. The inner telescope produced the left-hand image, while the outer telescope produced the image on the right” indicates NASA. Here is the image; on the right side is the Moon that is peeking out from behind Earth. When the image was taken, the spacecraft was about 27 million miles from Earth. 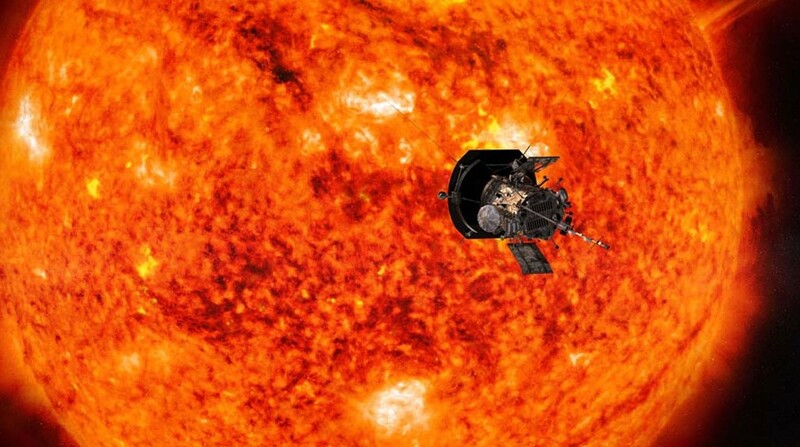 At the time the image was taken, Parker Solar Probe was about 27 million miles from Earth. “The hemispherical shaped feature in the middle of the right-hand image is a lens flare, a common feature when imaging bright sources, which is caused by reflections within the lens system. In this case, the flare is due to the very bright Earthshine. Close passes by Venus and Mercury may occasionally create similar patterns in the future, but these are limited cases and do not affect the science operations of the instrument”, says NASA.